Manoatoa is a passion for Polynesian art and culture. The beauty and refinement of Polynesian art has been displayed from Pre-European times to our modern era. From wood carving, tapa making, and tattoos, the jewel of Polynesia is the creativity of its people. The mission of Manoatoa is to explore the limitless boundries of Polynesian art and culture through clothing. People often ask, "What does Manoatoa mean?" Manoa is a name/word which can mean "firm" or "steadfast". Toa commonly means "warrior", "courageous", or "brave". We think of it as: Manoatoa - steadfast warrior. 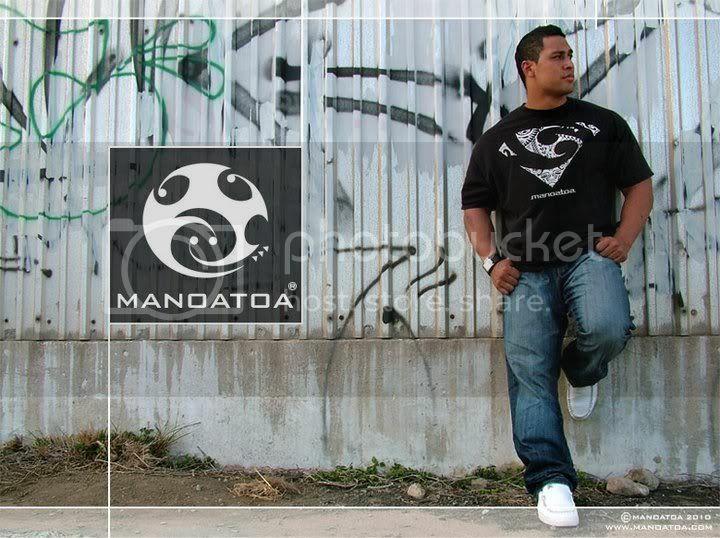 The mission of Manoatoa is to explore the limitless boundries of Polynesian art and culture through clothing.